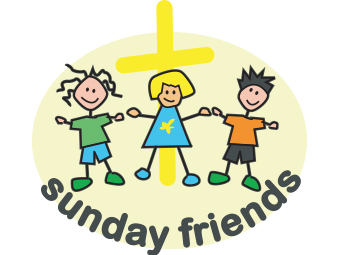 We are a group of children meeting every Sunday at Sandleheath Church from 10.45 am - 11.45 am. We begin the morning with ten minutes in the church with the adults when the preacher shares a talk or an activity with us.! Then off we go to the hall for fun and games. A lot of activities include team work where we learn sharing, caring for each other and the wonders of nature. Some of us are very creative using various materials and often displaying our piece of work. Did you know you can make a Noah’s Ark with lollipop sticks? We did. We are often amazed to hear that Jesus, who gave us this beautiful world, thought of us as his very precious children. 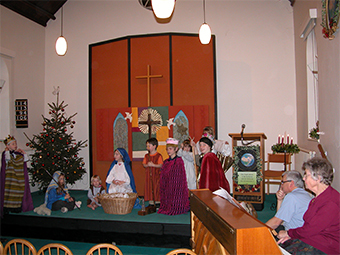 We now have Monday Friends each Monday during term time when children, mostly the children of United Choir mothers who bring them after school for activities at about 4.00pm. Meanwhile the mothers have their Choir Practice.